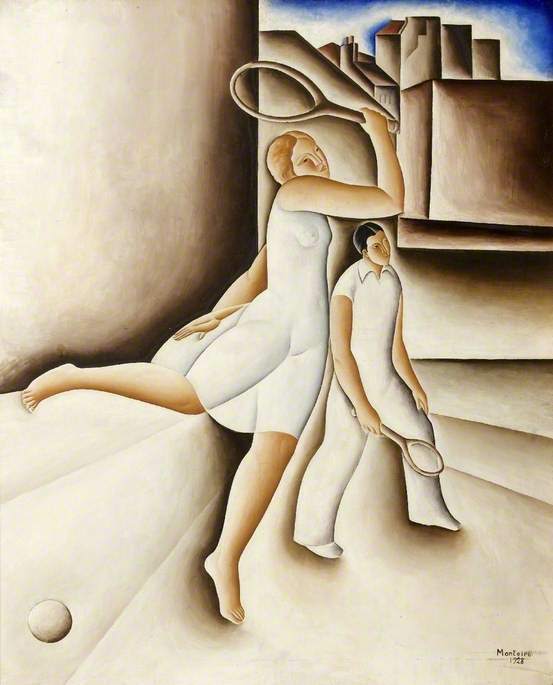 Professor Ann Sumner will highlight the painting Tennis of 1928 by Vicente do Rego Monteiro (1899 — 1970), held in the collection of Swindon Art Gallery. He was a Brazilian painter, sculptor, and poet, who trained in Paris at the Académie Julian, returning to Brazil in 1917 and being linked to the Brazilian Modernist movement in the 1920s. Ann will discuss his famous tennis painting in the context of artists who have been drawn to depict the game of tennis from the 1870s onwards, beginning with British artists such as John Lavery through to Laura Knight and Eric Ravilious, before exploring European depictions of tennis particularly by French, Italian, Spanish and German artists and then considering American and South American examples of the genre. These paintings illustrate the wide ranging developments of the sport, and the challenges artists faced in capturing the grace and movement of the game on canvas and in sculptures. 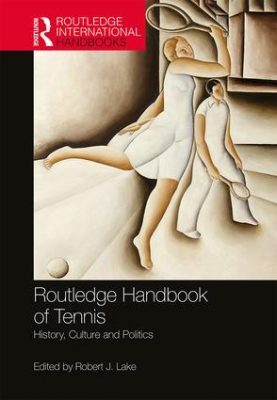 The talk is planned to mark the publication of Routledge’s Handbook of Tennis which considers the culture and politics of this popular sport invented in Britain, which quickly became popular internationally. The Swindon painting was selected to be on the cover of this new book. If you are a tennis fan or not, this fascinating survey of paintings inspired by tennis which contextualises the Swindon painting will include discussion of the different approach to tennis art across the world, and a wealth of attractive works by artists from the end of the 19th century through to the 1920s and 30s and up to the present day. Ann Sumner curated the award winning exhibition and wrote two major chapters in the exhibition catalogue Court on Canvas: Tennis in Art in 2011 at the Barber Institute of Fine Arts in Birmingham, where she was Director. She has contributed the chapter in the new Routledge book on International Tennis Art and is an acknowledged specialist in the area. She has previously worked at the National Museum of Wales as Head of Fine Art, the Holburne Museum of Art in Bath, Harewood House Trust, and was most recently Head of Cultural Engagement at the University of Leeds where she focused on the Public Art Project. She is currently Chair of the Methodist Modern Art Collection and a trustee of Leeds Art Fund and the Museum of Bath at Work. Her talk will be introduced by Carol Osborne, of Leeds Trinity University who is Assistant Editor of the Routledge book.